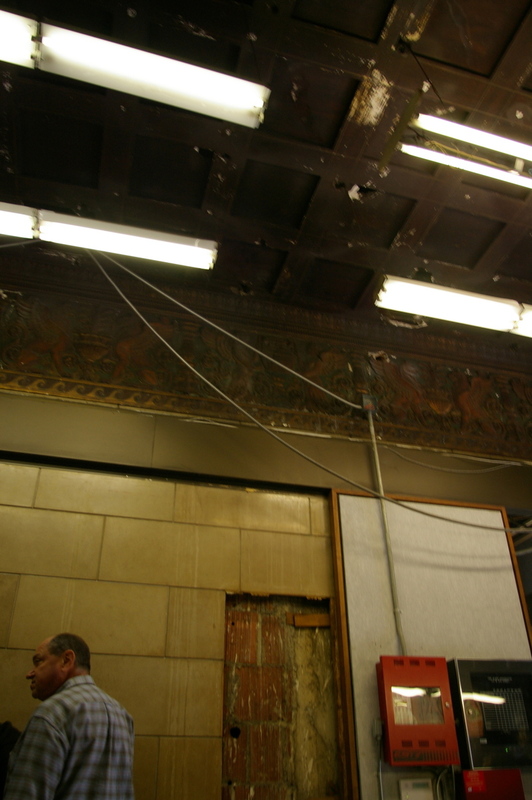 Walk around downtown and try and take a peek at the smaller renovations going on. In one of the Anjac Fashion Buildings, currently used for fashion studios and distribution space, architecural details became uncovered when the typical white acoustical tile ceiling was dismantled. 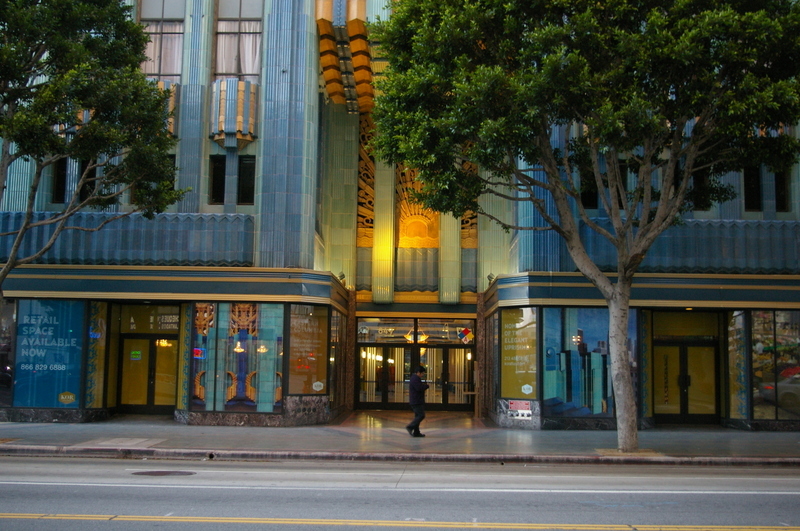 Eastern Columbia Building, with waiting retail space, taken this evening. Add: I placed the photo on my flickr set and sent to a few groups. LAist picks it up here. 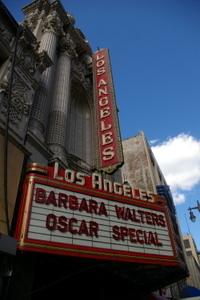 The Los Angeles Theater gets dressed up for Oscar Night. The sign was looking great at night until half the marquee went dark. As for the Oscars, in 24 hours we will know if it was a Dream or the Year of the Bore. LATimes Award Insiders look at Latinos ready for their Kodak Moments. Variety says B.O. Bump only to be Blip. Daily News says anything is possible. Defamer calls it the week of Oscar and Britney Dueling Baldies. 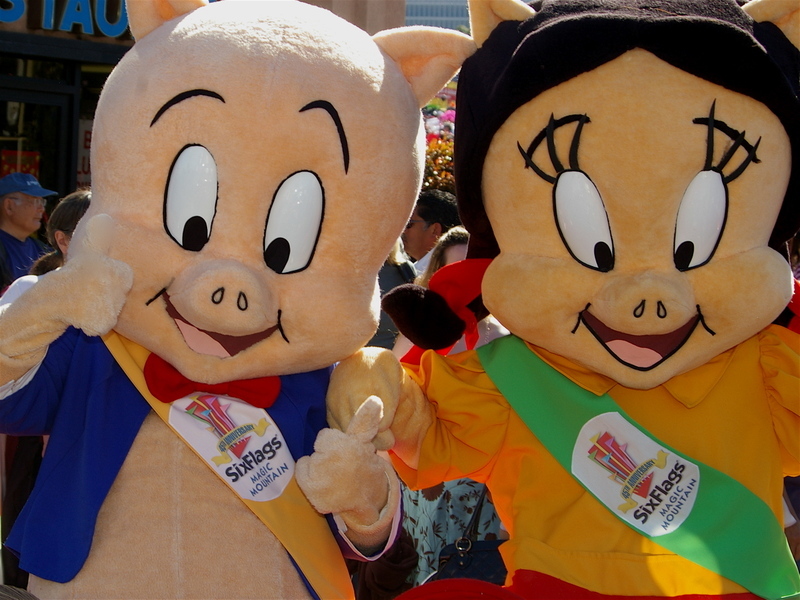 Year of the Bo..Bo..Bo...uh pig. 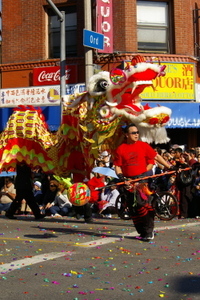 The Year of the Boar marks the 108th Golden Dragon Parade held Saturday in Downtown L.A.s Chinatown. 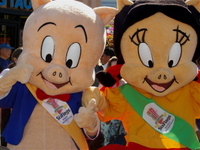 Here, special guests sent by Magic Mountain give a thumbs-up at the parades start. At Ord and Broadway, the main dragon starts the last leg of the parade . Two of a Kind: Artist/printmaker/daughter Sonia Romero with Chicano artist/muralist/father, Frank Romero, opening night of their "first official show" held Friday evening at Self Help Graphics. Debuting is a collaborative print (seen in back) that uses iconic images familiar in each others separate word and presented as a "family quilt." It's billed as the "first official show" since a family art sale is held each year at Frank Romero's studio. 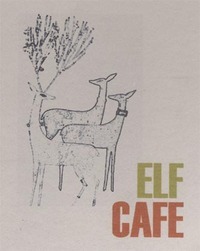 This exhibit runs until March 16 at Self-Help. 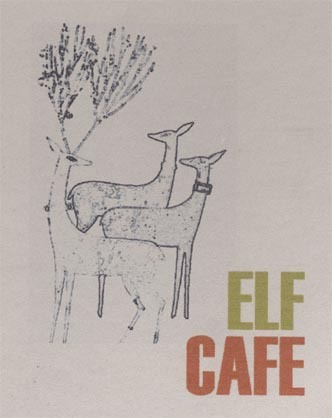 Self-Help Graphics & Art, Inc.
ELF is an Echo Park organic vegetarian cafe that's been opened for only three months and is doing well. Not being from the organic vegan tribe––I only found it because there was a parking spot out front and I wanted to make a dash to the Burrito King for a very non organic, non-vegan item. Dot Dot Dash looks at the little bank robber who couldn't, finds a use for City Hall AND for the City of Vernon. We also name the Downtown exodus of certain residents. Join the Downtown Click. HE-WAS-THERE: If your fate was to bump into the man behind a popular Los Angeles architecture website, the chance meeting has to take place at a venerable Downtown location and the Historic LA Gods would make it the hallowed dining room at Philippes. Here's Martin Schall, the creator of you-are-here.com, taking a break from his "hobby" of photographing L.A, sitting on a stool at one of those tall large brown tables like a real Angeleno. A long way from Germany: This trip was busier than his previous visits to Los Angeles as Martin is a new found media darling. The most honored "Angeleno who is not really a resident" was interviewed this week by the Los Angeles Times and KPCC's Patt Morrison that will "introduce" Schall and his website to a new audience of L.A. History buffs. 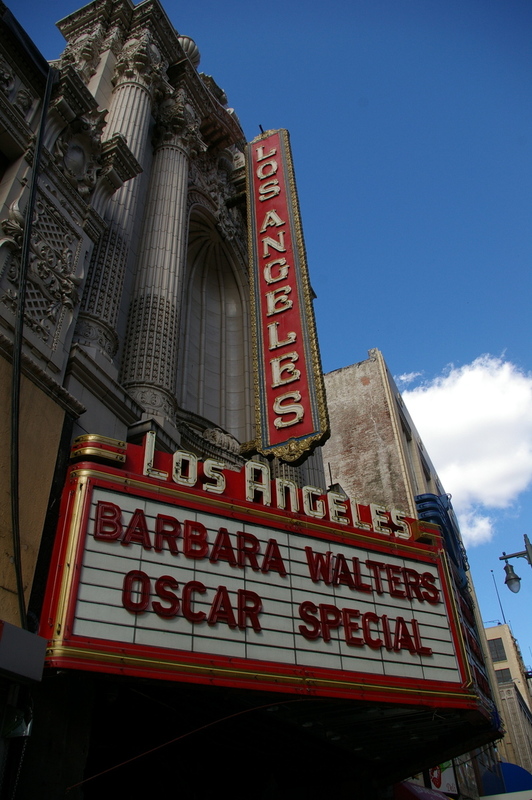 Open with a Bang: Anything in LA that has been been around for 108 years deserves a mention. Leading a small march of art listings is the 108th Golden Dragon Parade this Saturday in Chinatown with a morning parade and an afternoon festival. Write to Fight: The Geffen Contemporary at MOCA (152 North Central Ave) re-opens March 4 with "WACK! Art and the Feminist Revolution". A blog style website that supports the show, and be a spot to post POV on those same issues, launches this Friday. Right to Fight: If the feminists have anything to say, we know who would win this ongoing battle of genders at Art Murmur Gallery. Battle of the Sexes continues to exhibit work" between the artists and based on gender. Which gender is the better artist? The public will decide." There's some solid figurative work on display –- but I won't say what gender. From a Fight Long Long Ago: Until April 29, Star Wars, where science meets imagination at the California Science Center in Exposition Park. Also, Walt Disney Concert Hall will have John Williams lead the LA Philharmonic March 5. 5 Models Afloat Art Inspired by the LA River Clusters at Gallery 727 continues until March 17, but a fundraiser and mixer is this Friday, at 8pm. You get to Q&A Councilman Ed Reyes. 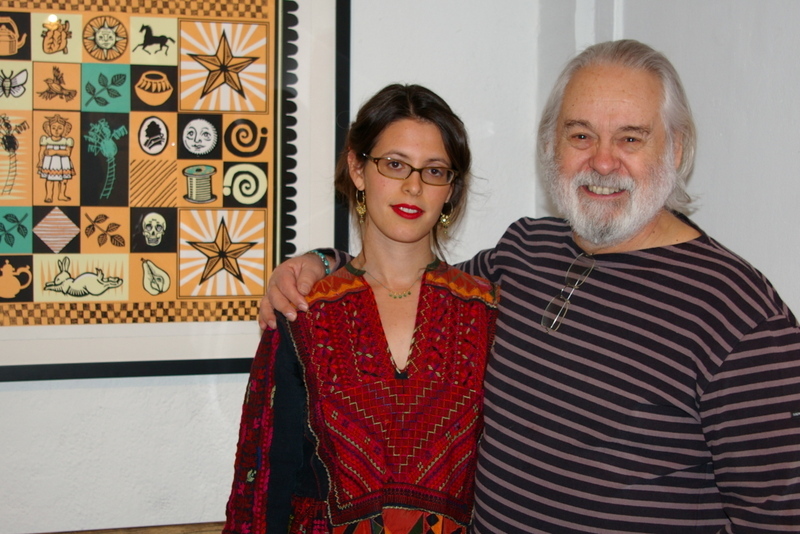 Self-Help Graphics has a Father-Daughter print retrospective exhibit called 2nd Edition, with Frank and Sonia Romero. Opening Night is this Friday, February 23. Abstract Expression Fine Art and Sculpture and is view through March 5 at the Continental Building Gallery, 408 S. Spring St.(at 4th) (213) 458-3735 or downtownartwalk.com. 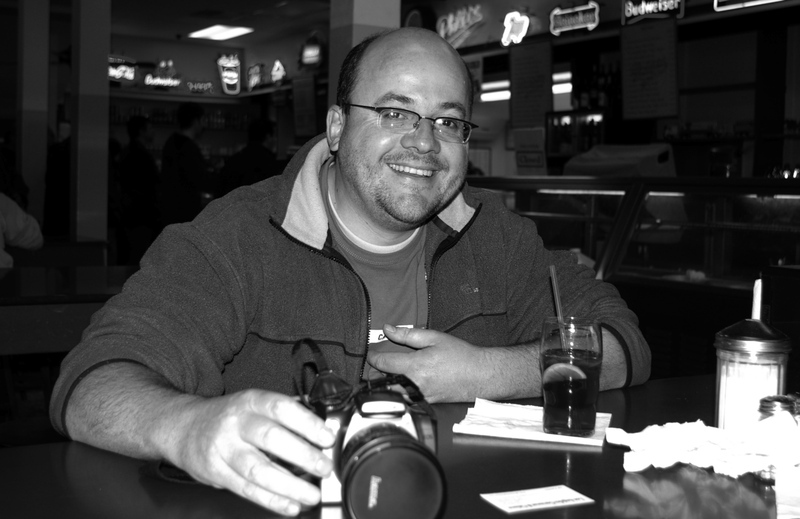 Dale Youngman curates. Wed-Fri from 2:30- 6pm. Dangerous Curve continues it's music series, Sunday, February 25 with Igor Grigoriev, improvisational jazz guitarist. More Down the Road: At the Mark Taper Forum, Edward Albee's "Who' Afraid of Virgina Wolf" with Katheleen Turner and Bill Irwin ends March 18. 12 Angry Men with RIchard Thomas and George Wendt opens March 28.